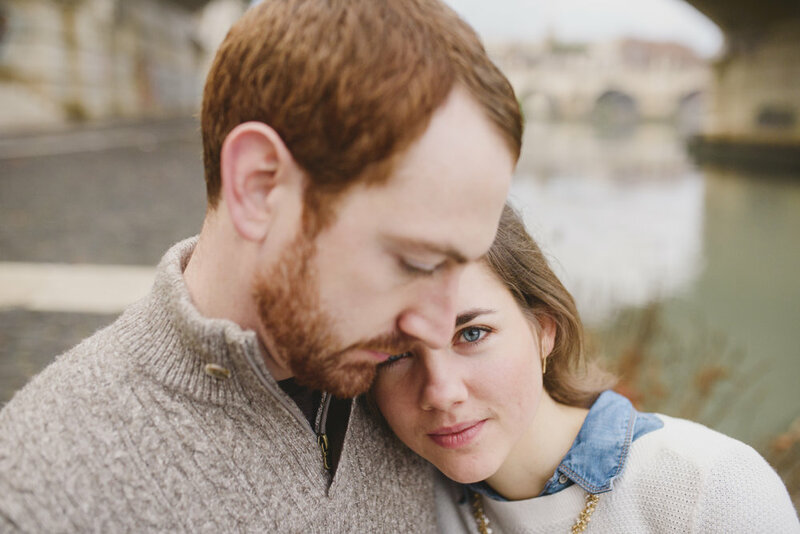 Susanna and Brad met in college, and despite a deepening friendship and eventual dates, Susanna remained uncertain about her feelings for Brad. 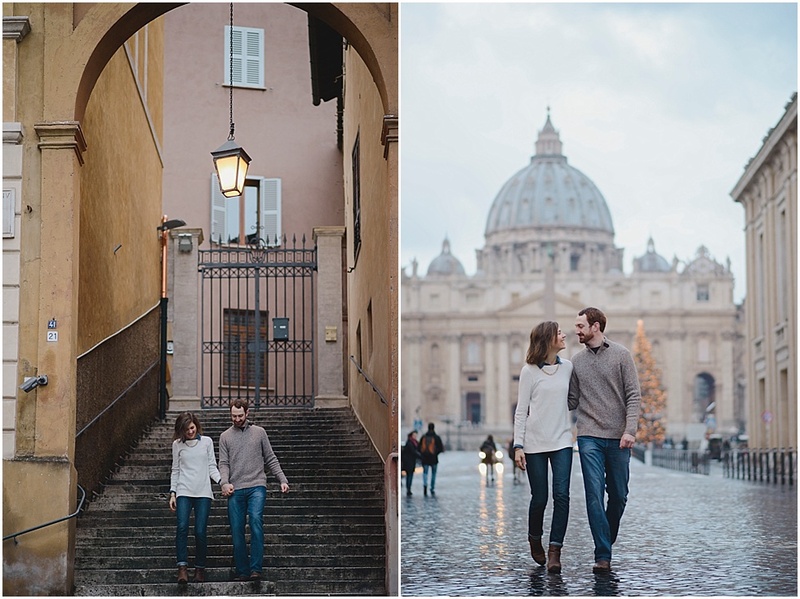 Thankfully, the Lord gave the couple a second chance, and after two more years of friendship, the couple fell in love during a trip to Rome for a mutual friend's ordination, hence the reason they had their gorgeous engagement photos taken in the Eternal City. In Susanna's words: I was not certain that Brad's and my relationship would end in marriage; after all, I had broken up with him once before! 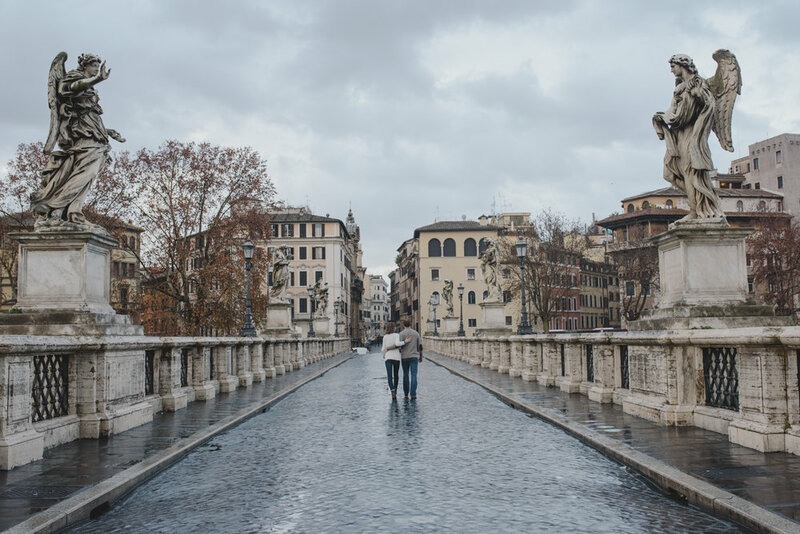 But after our time together in Rome, I knew that what was growing between us was something different, something new. On November 23, 2015, I drove to 7:30a.m. mass at the Cathedral of Saint Paul in Minnesota to conclude my novena to Saint Joseph in his chapel. After praying the novena I simply sat with Joseph, hoping he would offer a few encouraging words--the definitive "turn around, your husband is standing right behind you" kind that most Catholic single women want to hear after praying a novena for their future spouse. Instead, St. Joseph remained very much in character and did not say much, though I did feel that he wanted me to be at peace in my day, knowing that he was with me. As I stepped out of the chapel, I saw Brad in one of the front row pews. It was then that I had a feeling he would ask me out again. Sure enough, after Mass he nonchalantly began talking about how he was reading the book I recommended to him, Brideshead Revisited, and smoothly transitioned from talking about literature to saying, “when I finish the book, we will definitely have to get together to have drinks and discuss...but this time, I’d like to actually take you out to dinner. I know we’ve tried this one before, but I’d like to try it again.” I was trying to be suave and smooth too, but my heart filled with joy as I said “yes” to a second-first-date and I walked away from our conversation with my heart beating fast, a beaming smile on my face and a nervous giggle in my throat. I proposed exactly a year after our "second first date" at High Cliff State Park. Susanna used to go there all the time growing up, we had gone there a handful of times together, and I knew that she loved going to pray by the water. The night before proposing I was up late. I didn’t trust myself to remember everything I wanted to tell her before I asked her to marry me, so I wrote a letter. I figured that way I’d be able to say everything I wanted to, and she’d be able to keep it to read again later. The next morning I went to mass with my Mom at the Shrine of Our Lady of Good Help. Mary had played a big role in our relationship, and I wanted to go pray for her intercession as I asked Susanna to marry me. When we got to the park, we started walking toward the marina. Now, for a little context, it was November in Minnesota, so it was about 40 degrees and drizzling. As we get to the shore, Susanna saw the stone breakwater and said, “Let’s go out there!” Before I could say, “That sounds like a horribly dangerous idea,” she was already on the rocks. About halfway out, she knew I didn’t love the idea, so she said we could stop there. In my head, I was thinking, “Absolutely not! If we’re halfway out here, I’m proposing out here! And I’m proposing at the END!” So we got to the end, I got down on one knee, and asked her to marry me! Our engagement has been so filled with grace. While we were dating, we grew close and shared a ton, but I think in the month after getting engaged we shared more than we had in the entire year of dating. Susanna and I decided to wait to get married until until October 14, 2017. We would’ve liked to get married sooner, but with my brother Greg’s diaconate ordination on September 28th, we couldn’t pass up the opportunity to have him witness our vows! 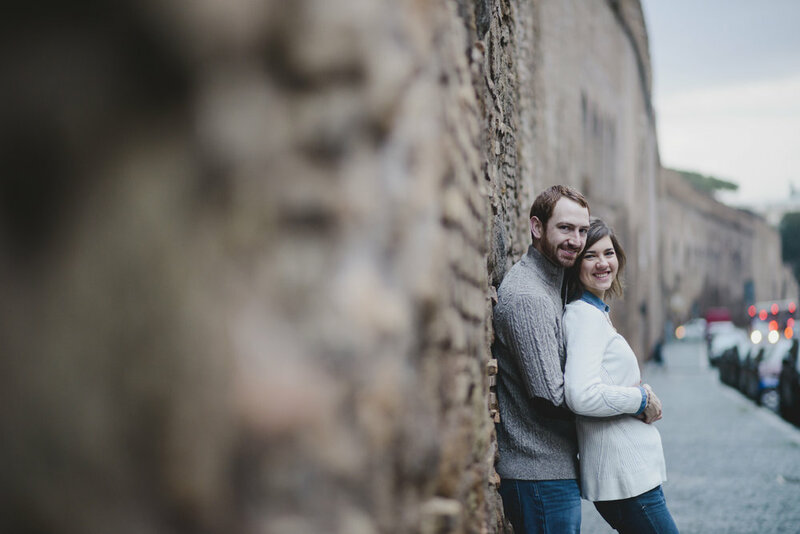 Susanna's reflection on engagement: Brad is more than an example of God’s love for me: God has chosen Brad to be the vessel by which I experience His love. Even when my spiritual life is dry and I feel Jesus’ silence, I am still able to tangibly feel the warmth of my Father’s love through Brad’s words, deeds, and hidden sacrifices. Because I am weak, I cling to these little reminders of God’s love that Brad shows me, and they help me to behold God with awe and wonder. They help me recall my responsibility to become a saint; of our responsibility to become saints, here and now, on this side of heaven.